Your office is where you and many of your employees spend as much time as you do in your homes. Consequently, chances are the windows in your office play a big role in the overall quality of your lives. Both the heat of the summer sun and the winter cold from outside can easily leak into your office through the glass of your windows. Fortunately, with the right window tint films, you can prevent such leakage and make your office more energy efficient. For example, our company recently installed window films in an office’s meeting room that got sun half the day and heated up accordingly. Because the thermostat for every room in the whole office was right there in the hot meeting room, the A/C had been running more than necessary. Now that the sun is no longer hitting the thermostat head on, the company is going to save thousands in cooling bills over the next few years, all thanks to simple window tinting. Have you ever been to one of those cafes that has a hot, bright dead zone near the windows? During the heat of the day, no one sits by the windows because it’s much too hot. That same scenario happens in offices, except for one difference – the employees assigned to the desks in the sun don’t have the option of avoiding the hot windows so they just have to suffer. This can lead to reduced productivity and a lot of resentment. Fortunately, window coatings can keep the hot sun out of the office, while still letting in lots of light. Your employees will thank you. The right window tint films can help keep bad guys out. Many films make the glass nearly impossible to shatter. They can also prevent vandalism or damage from paint and scraping. Several companies even make coatings that can help to protect your office from a bomb blast. The film might not stop everything from flying in, but it can drastically reduce the amount of debris and flying glass that enters your office. Shattered glass is a hazard, not just in a bomb blast, but also in case of storms, earthquakes, and more. Using a window tint film that is designed to keep the glass together when it breaks, you can keep tiny shards of glass from flying into your staff and your office. 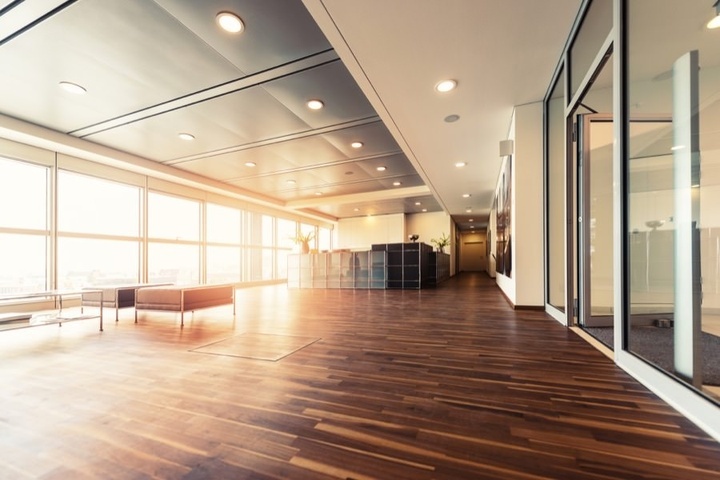 Much like the safety glass used for car windows, these coatings make your glass office windows less of a hazard. Privacy window frostings and even faux sandblasted finishes can add to the interior and the exterior of your office aesthetics. Special window treatments such as these can enhance the glass of your office and make it look more elegant without hefty costs. Finding the right tint films for your windows takes experience and know-how. Trust a window coatings professional to hear your concerns and make the right recommendations to meet your needs. The process is fast, easy, and usually a lot less expensive than you might imagine. Call Excellent Window Tinting at (732) 410-5728 or Click Here to request a quote online!